Driving a van as your company vehicle can be much cheaper than having a car and can even be zero tax in circumstances where a car would be taxable. What conditions must be met for tax-free use? As with most years, the government has increased once again the benefit in kind on using a van for personal use by employees (including directors). For 2018/19 tax year – having a company van with personal use will set you back by a taxable sum of £3,350 (£3,230 for 2017/18 tax year). If you also enjoy the fuel on top for personal use – it’s an extra taxable income of £633 (was £610 for 2017/18). For example, based on those rates, a higher tax rate payer will pay £1,593 on the perk of using the van (and fuel) for private journeys. 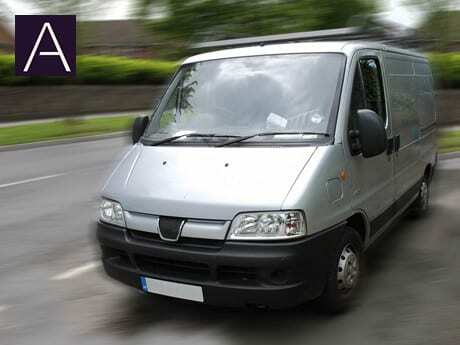 Do I have to pay tax on having a company van? However, where the Restricted Private Use condition is met – no tax liability is due to the tax man on the van and fuel. In other words, unlike tax rules on cars – you can use the van to travel from home to work and back (and even stop for a quick food shop along the way which considered insignificant) but you won’t be able to use it for any private journeys beyond that. No regular private patterns of private use should take place. A one off private journey, probably a few days during the entire tax year is allowed. In reality – it will be difficult for HMRC to argue whether you have used the van too much for private use. You should however take care when using the company van and stick to HMRC’s rules as closely as possible. Artema also suggests that you take the extra steps and provide your employees with a written policy that the van is not to be used for private journeys unless they are insignificant. Contact Artema if you would like our help with drafting your company’s private use restriction policy.